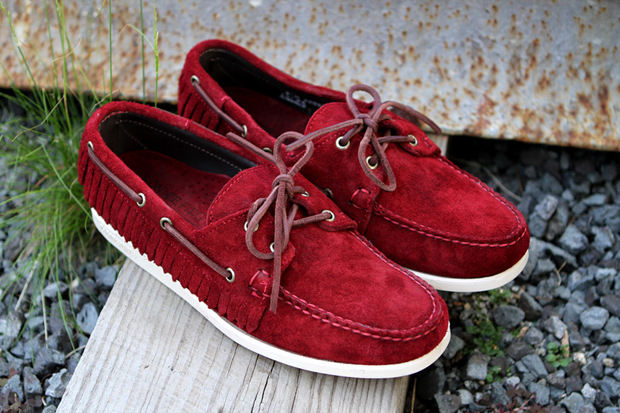 Inspired by Sebago’s quintessential ‘boatie’, the Dockside, Ronnie Fieg gives the classic boat shoe his signature twists with this new scarlet suede Mohican. 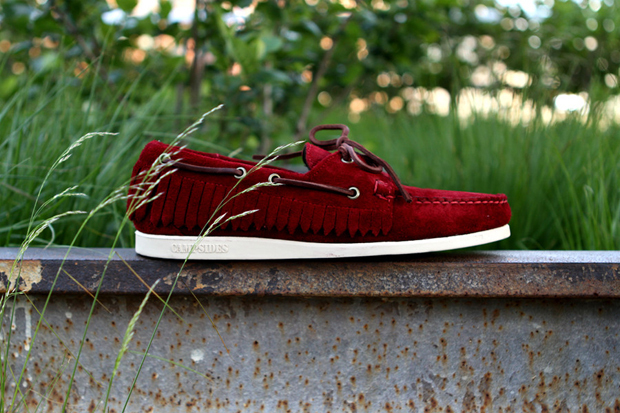 Mr. Fieg has become a household name amongst sneaker aficionados, most notably for his Asics collaborations, however his less well known Sebago collabs are equally plentiful and just as impressive. 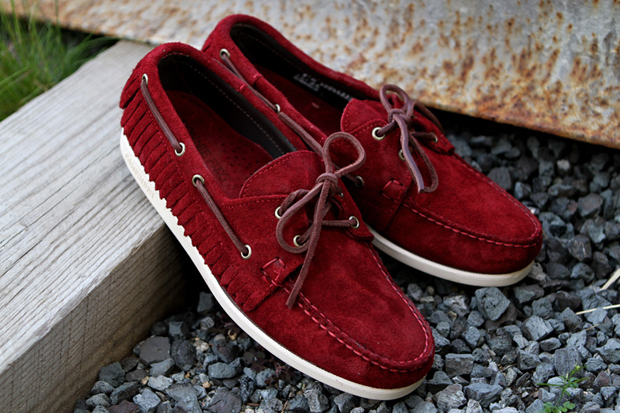 His now iconic spin on the classic mariners silhouettes, the Dockside, has seen numerous runs so far . 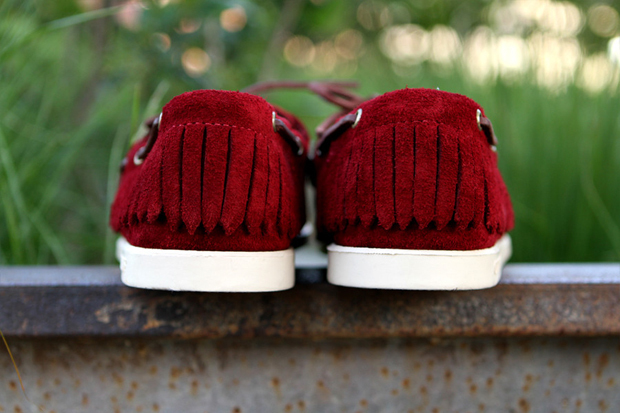 This most recent collaboration sees the upper draped in premium, deep red suede, and includes Fieg’s trademark fringe, an entirely unique aspect introduced by the wizard himself. For some I can imagine its a bit daring, but I love it. The scarlet colouring is an interesting choice, not really an ideal option for the summer in my opinion, a blue would of hit the spot, but maybe that’s me being picky. 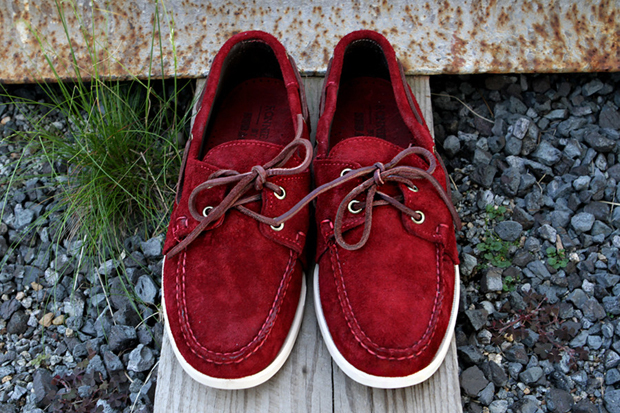 However, sitting aloft the bright white Dockside sole, it’s a winner and is a definite option for when the weather allows. They’re available in very limited sizes from End Clothing now.